We’ve all heard about the wonders of antioxidants. It’s a term that has been thrown around a lot in the health community, especially when it comes to diet and disease prevention. But what are antioxidants? What do they do? And are they really as marvelous as marketers make them out to be? To understand antioxidants, think about the word itself: “anti-”, or against, and “oxidant,” related to the word “oxidation.” The body undergoes chemical processes in breaking down food into energy, and in the process, it creates byproducts called free radicals. Free radicals are molecules or atoms that have gained or lost an electron, making them more unstable and thus more prone to cell damage. Antioxidants come along and help regulate the electrons, healing the damage. They have been marked as good for fighting/preventing cancer and other diseases, like macular degeneration. Antioxidants aren’t just one thing; they are a family of substances. They include familiar names like Vitamin C, Vitamin E, Vitamin A, beta-carotene and lycopene. In the 1990s, when antioxidants started becoming trendy, supplement makers also began making pill versions of antioxidants. Should I start getting more antioxidants? The research is mixed, but the most common thread (see bibliography at the end) indicates “yes” to natural sources of fruits and veggies and “no” to supplements. No studies have shown any problems with getting antioxidants from a produce-filled diet, and the nutrients in these antioxidant-rich foods have been linked to a decrease in disease. But what if you don’t like fruits and veggies? Or you’re trying to prevent or treat cancer and you’re afraid you’re not getting enough antioxidants with your meals? Don’t just jump in to taking antioxidant supplements. One study, the Physicians’ Health Study II, saw Vitamin E supplements actually increase the risk of stroke. In addition, a follow-up to the Selenium and Vitamin E Cancer Prevention Trial found that men age 50 and older who took Vitamin E supplements had a 17 percent higher incidence of prostate cancer development. Another study, “Effects of a combination of beta-carotene and vitamin A on lung cancer and cardiovascular disease,” saw an increase in cancer rates among smokers taking beta-carotene and vitamin A. Some other studies showed no difference in disease prevention when using supplements. The most scientifically proven thing to do about antioxidants is to lead a healthy lifestyle and eat plenty of fruits, vegetables, nuts and whole grains. 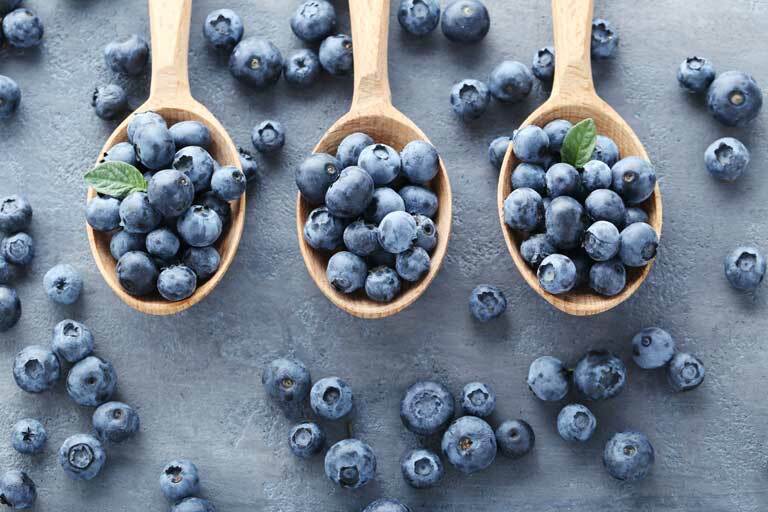 It may sound like old news, but science supports this strategy for many reasons, including getting your antioxidants and reducing your risk of cancer and eye disease. If you want an additional way to reduce free radical damage, stay away from cigarette smoke, which is an unnatural cause of free radicals. “Antioxidants and Cancer Prevention.” National Cancer Institute. Accessed February 16, 2017. https://www.cancer.gov/about-cancer/causes-prevention/risk/diet/antioxidants-fact-sheet. “Antioxidants: Beyond the Hype.” The Nutrition Source. April 12, 2016. Accessed February 16, 2017. https://hsph.harvard.edu/nutritionsource/antioxidants/. “Antioxidants: In Depth.” National Institutes of Health. May 4, 2016. Accessed February 16, 2017. https://nccih.nih.gov/health/antioxidants/introduction.htm. Moyer, Melinda Wenner. “Antioxidants May Make Cancer Worse.” Scientific American. October 07, 2015. Accessed February 16, 2017. https://www.scientificamerican.com/article/antioxidants-may-make-cancer-worse/. Sifferlin, Alexandra. “The Truth About Antioxidants.” Time. August 06, 2013. Accessed February 16, 2017. http://healthland.time.com/2013/08/06/the-truth-about-antioxidants/. “Slide show: Add antioxidants to your diet.” Mayo Clinic. Accessed February 16, 2017. http://www.mayoclinic.org/healthy-lifestyle/nutrition-and-healthy-eating/multimedia/antioxidants/sls-20076428.